Torch Red 2019 Chevrolet Corvette Stingray 1LT RWD 6.2L V8 Chesrown is the ONLY dealer in Ohio that will buy your oil changes and tire rotations for the life of your ownership on ANY vehicle purchase with absolutely no strings attached. This simple benefit can save you thousands in basic maintenance, general wear and tear, and ensure a sterling vehicle history report. Gray Metallic 2019 Chevrolet Corvette Stingray Z51 3LT RWD 6.2L V8 Chesrown is the ONLY dealer in Ohio that will buy your oil changes and tire rotations for the life of your ownership on ANY vehicle purchase with absolutely no strings attached. This simple benefit can save you thousands in basic maintenance, general wear and tear, and ensure a sterling vehicle history report. 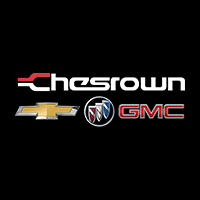 Torch Red 2019 Chevrolet Corvette Z06 2LZ RWD V8 Supercharged Chesrown is the ONLY dealer in Ohio that will buy your oil changes and tire rotations for the life of your ownership on ANY vehicle purchase with absolutely no strings attached. This simple benefit can save you thousands in basic maintenance, general wear and tear, and ensure a sterling vehicle history report.